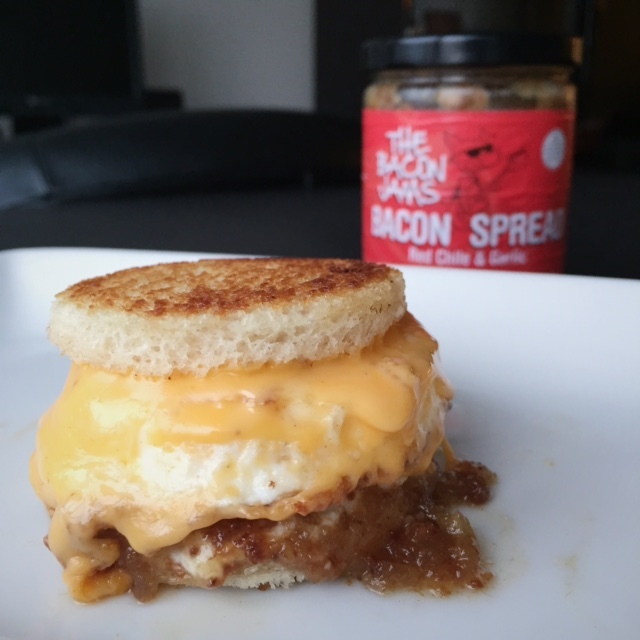 Have you ever thought to yourself “you know, I wish I could just spread bacon all over everything (including my body)”? No? Is that just me? Well either way, NOW YOU CAN! 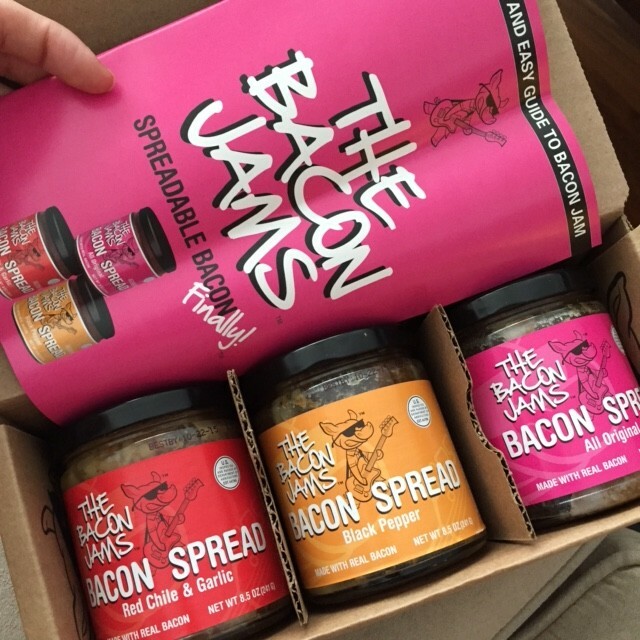 Thanks to an ingenius company called The Bacon Jams. They make jam out of bacon and it’s wonderful. They sent me some samples because who loves bacon more than I do?! NO ONE. Maybe Ron Swanson but he’s fictional and this is THE REALEST IT WILL GET. Please read on. 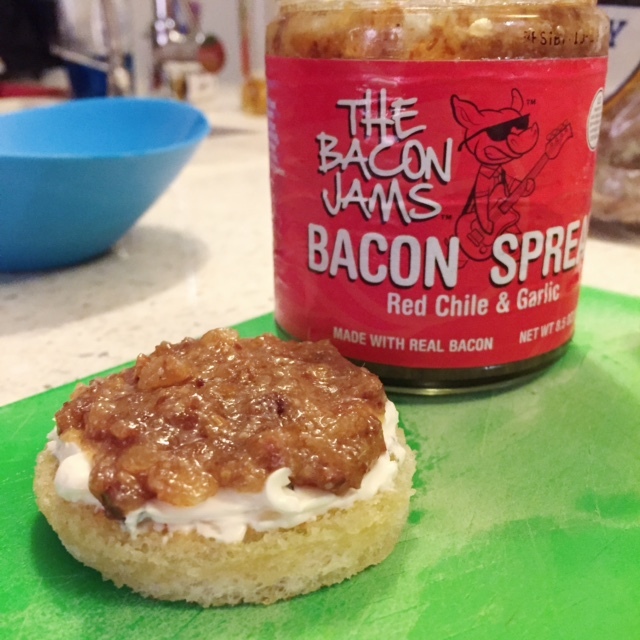 The Bacon Jams come in three flavors: Original, Black Pepper, and Red Chile & Garlic (and you can purchase them here online). I tasted all of them (obviously) and decided that I liked the Red Chile & Garlic the best. Nothing wrong with the other two, in fact they were delicious also, but I liked the garlic accents in the RC&G. My only complaint would be that I wish it had a bit more heat – I love spicy food and this wasn’t spicy enough for me. Regardless, I decided to run with that one and my first thought immediately was a BEC of sorts. What is a BEC? If you don’t know that, then you don’t live in NYC or you don’t follow my Instagram. 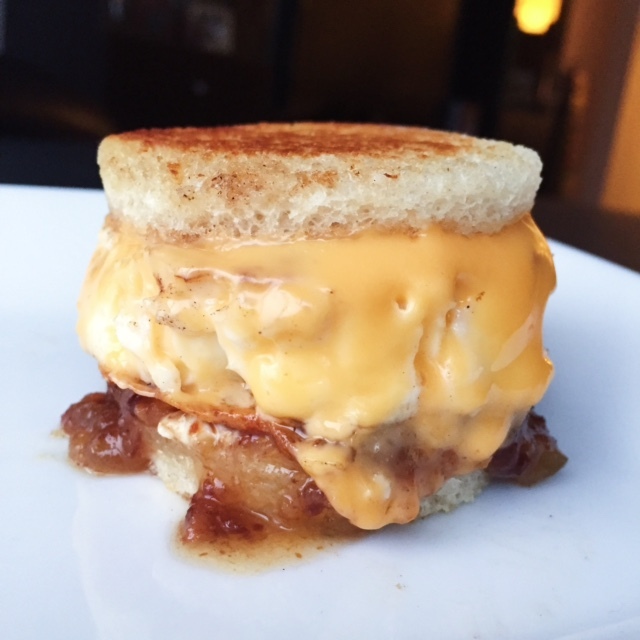 It’s a Bacon, Egg, and Cheese = BEC. There’s even a restaurant here now dedicated solely to this sandwich and it’s called BEC. Get on it. After assessing this situation, I thought it would be fun to make them into mini sandwiches using a biscuit cutter, so everything is in uniform circles. You don’t have to do it this way, as it is 100% more time consuming, but it’s SO VISUALLY APPEALING! So feel free to skip all the biscuit cutting hoopla and just layer per the below on any type of bread you like. Note: I DO recommend a white bread for this though – a whole grain or something oaty would throw off the balance of flavors. 1. 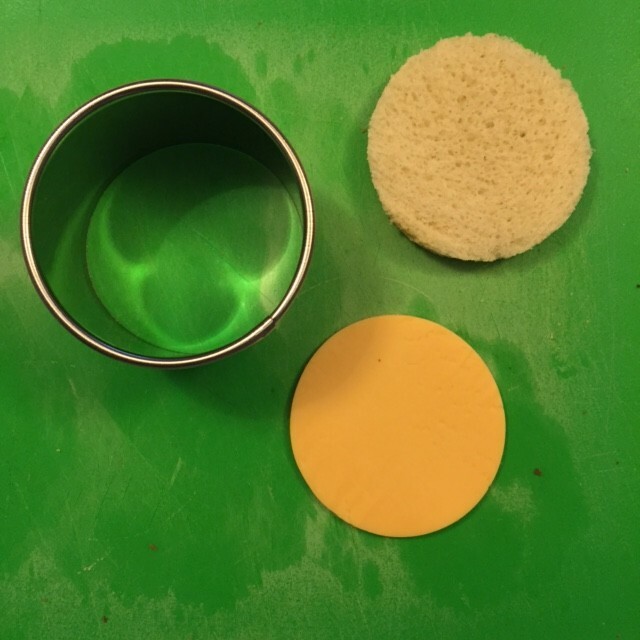 Cut the bread and cheese into circles using the biscuit cutter. Take the mayo and spread evenly on both sides of each bread circle. Set aside. 2. Heat pan and add 1 tbsp of the butter. Add bread and grill lightly, this doesn’t take long. Flip them so they brown on both sides. Remove from pan and let cool a little. 3. Slather the cream cheese on two of the circles. 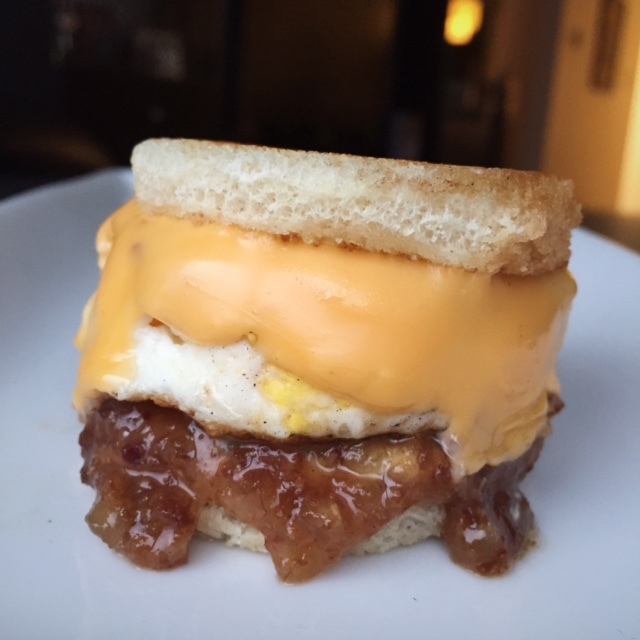 Add the bacon jam on top as well. Don’t be shy! SLATHER AWAY IT’S DELICIOUS! 4. Add the remaining butter to the pan and grease the inside of the biscuit cutter. Place biscuit cutter into the pan. Crack egg directly into the cutter and let cook until whites begin to set and you see the edges start to brown a bit and pull away from the sides. 5. 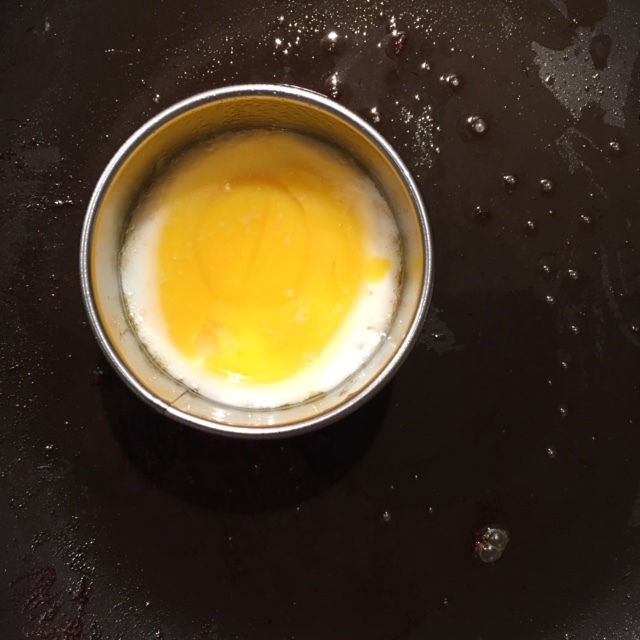 Take a knife and slide around the edges of the egg inside the biscuit cutters to loosen it. Slip the egg out. 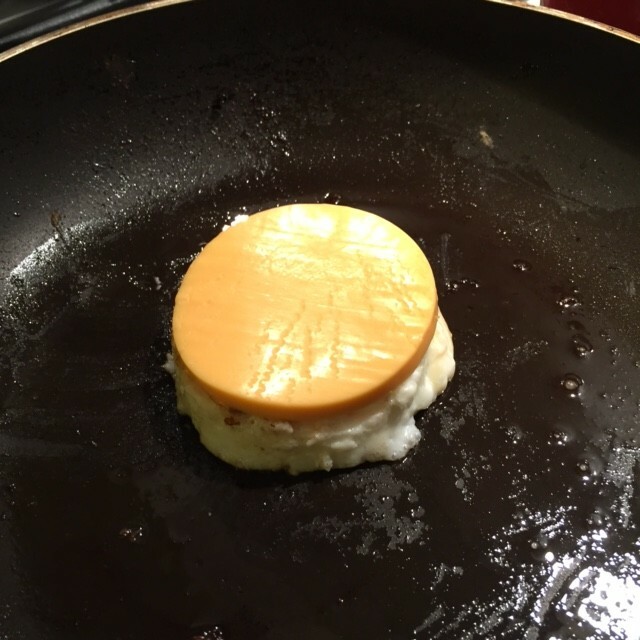 Give it a flip and top with the cheese. 6. 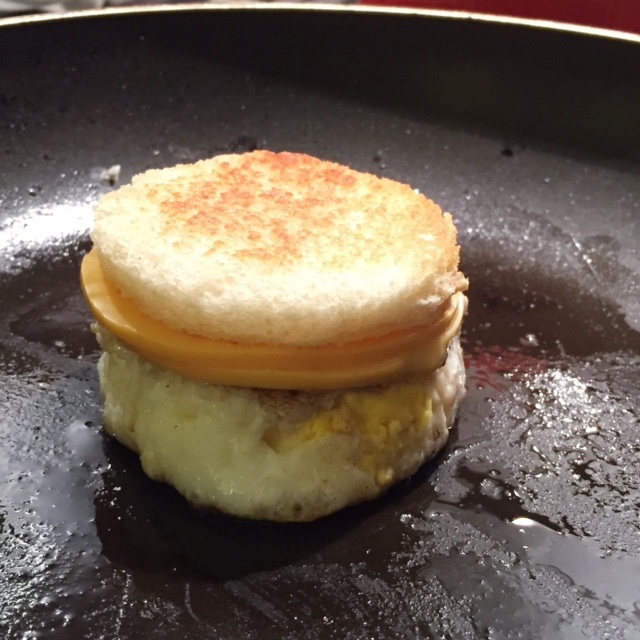 Take the remaining circles of bread and press down on top of the egg and cheese circles. Cook until you see the cheese start to melt and look all delicious. 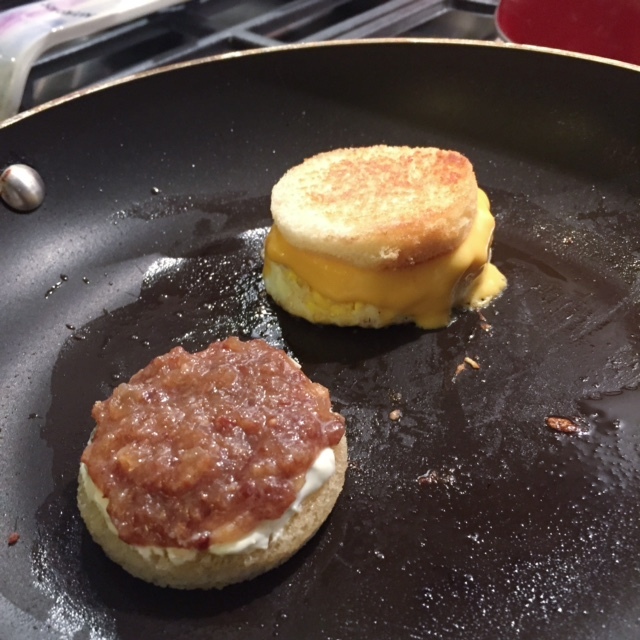 You can add the other circle with the cream cheese and bacon jam to the pan if you want to warm it up a bit, but it’s not necessary. 7. 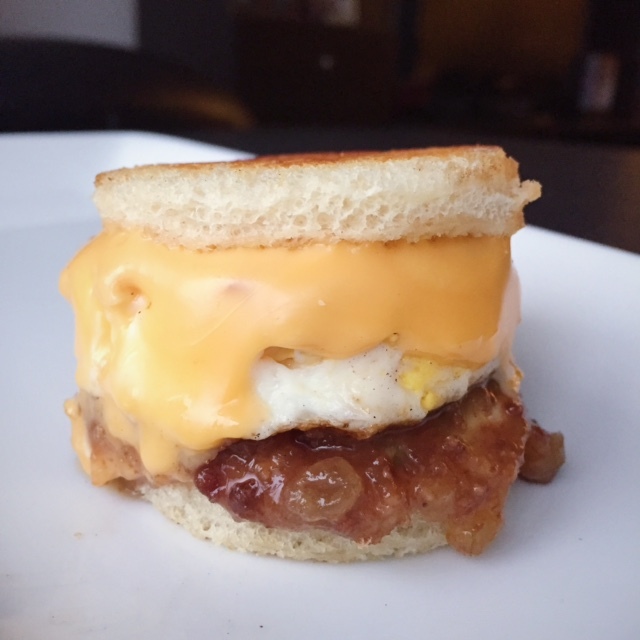 Remove egg and cheese from pan and place carefully on top of the bread with the cream cheese and bacon jam. Press down a little and marvel at this leaning tower of magic. 8. 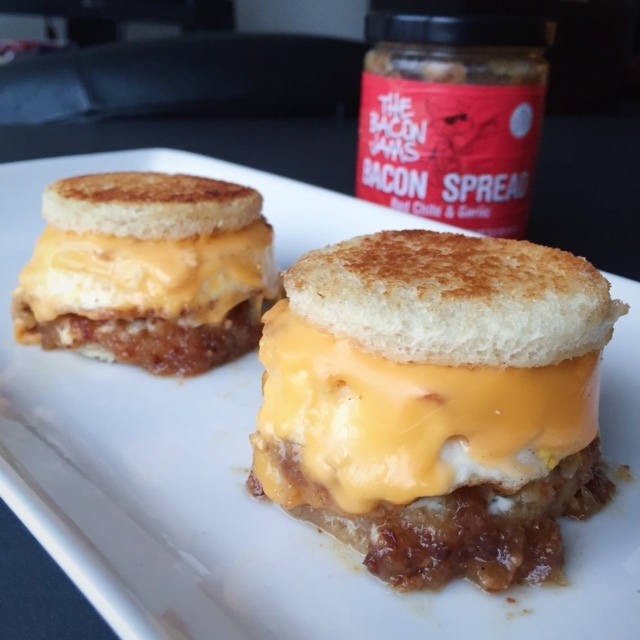 Take a bite and let the spreadable bacon, cream cheese, egg and cheese concoction invade your home and delight your senses. 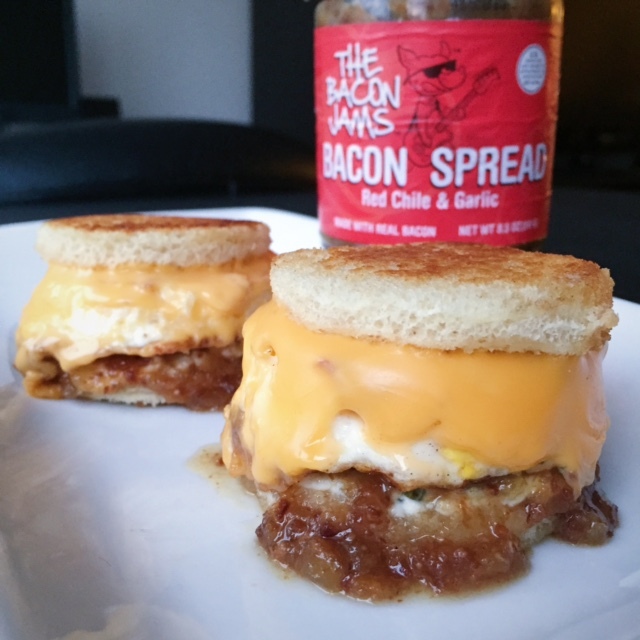 The combination is so good and you may never go back to real bacon ever again. Ok that’s a dirty lie but this stuff is GOLD. I would 1000% eat it with a spoon.